Jeanne Bassett, 89, of Mount Vernon, Illinois passed away at 7:00 A.M. November 18, 2018 at Mount Vernon Countryside Manor. She was born July 30, 1929 in Chicago, Illinois to the late Russell and Marlie LaVelle. Jeanne married Charles W. "Chuck" Bassett on January 31, 1959 in Oak Park, Illinois. They were blessed with 40 years of marriage before he preceded her in death on March 2, 1999. 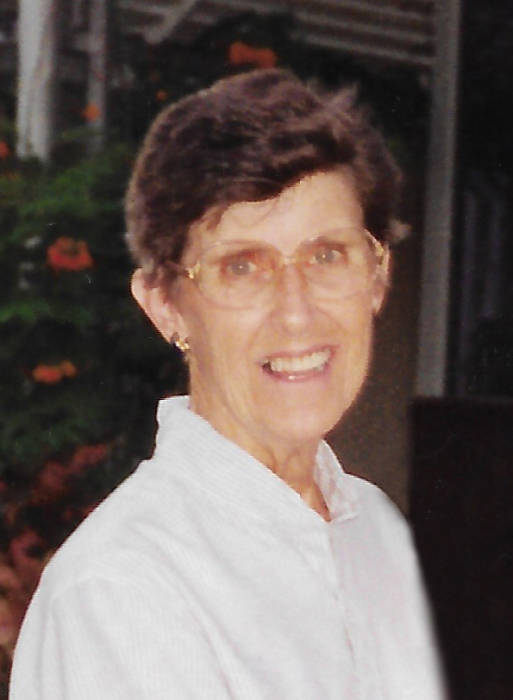 Jeanne is survived by her children, Gary Bassett and wife, Darlene of Fernandina Beach, Florida, Don Bassett and wife, Kristin of Floyds Knobs, Indiana, Sandy Sandweg and husband, Bill of Mount Vernon, Illinois, and Karen Hammer and husband, Mike of Crestwood, Kentucky; grandchildren, Heather Sandweg, Joshua Sandweg, Matthew Sandweg, Ashley Hammer, Emily Hammer, Eric Bassett, Evan Bassett, Tyler Bassett, Amanda Miller, Hannah Deignan, Eitel, Kelly Rodgers, Reagan Bassett, and Aubrey Bourgeois; four great-grandchildren; and several nieces and nephews. In addition to her parents and husband, Jeanne was preceded in death by her children, Sherri Lynn Bassett, Guy Bassett, and Daryl Bassett; and sisters, Gleoria LeVelle and Jackie. Jeanne enjoyed traveling in the RV with her husband, Chuck. She also enjoyed doing her yard work in her spare time. Her greatest joy was spending time with her family. Jeanne was dearly loved and will be missed by all who knew her. Visitation: 9:30 A.M. to 11:00 A.M. Saturday, December 8, 2018 at Newell Funeral Home in Mount Vernon, Illinois. Service: 11:00 A.M. Saturday, December 8, 2018 at Newell Funeral Home. Inurnment will take place at 12:45 P.M. Friday, December 7, 2018 at Jefferson Barracks National Cemetery in Saint Louis, Missouri. Memorials may be made in Jeanne’s honor to the charity of the donor's choice.